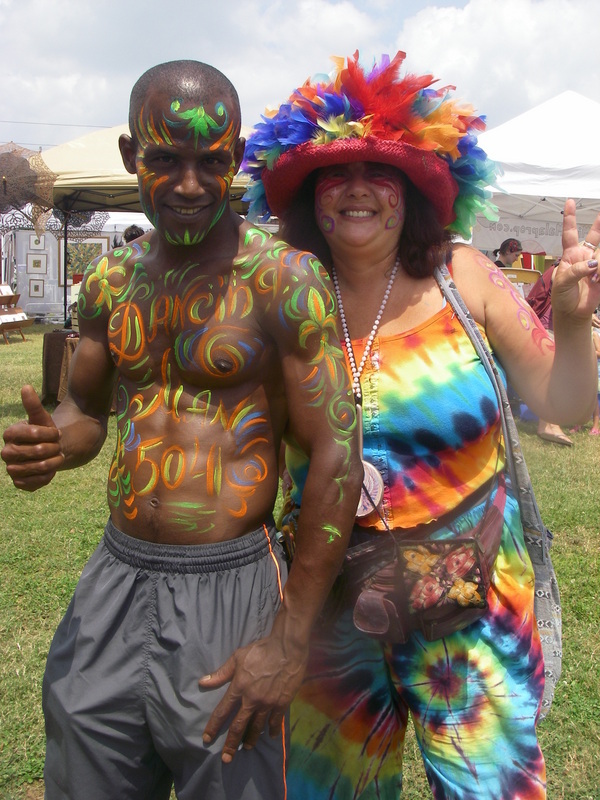 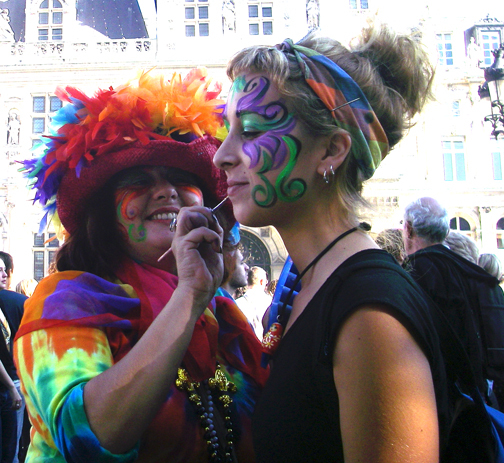 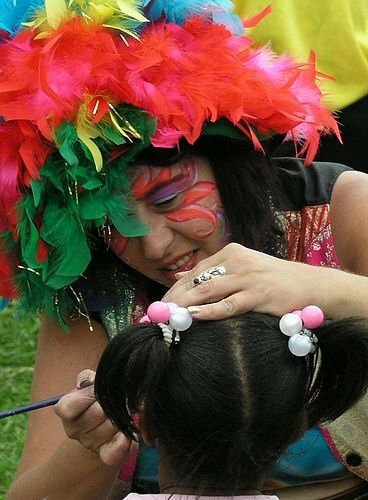 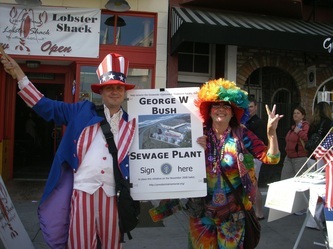 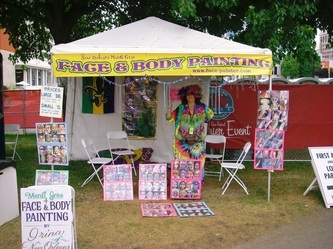 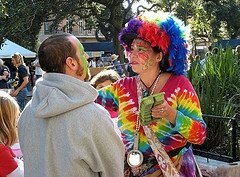 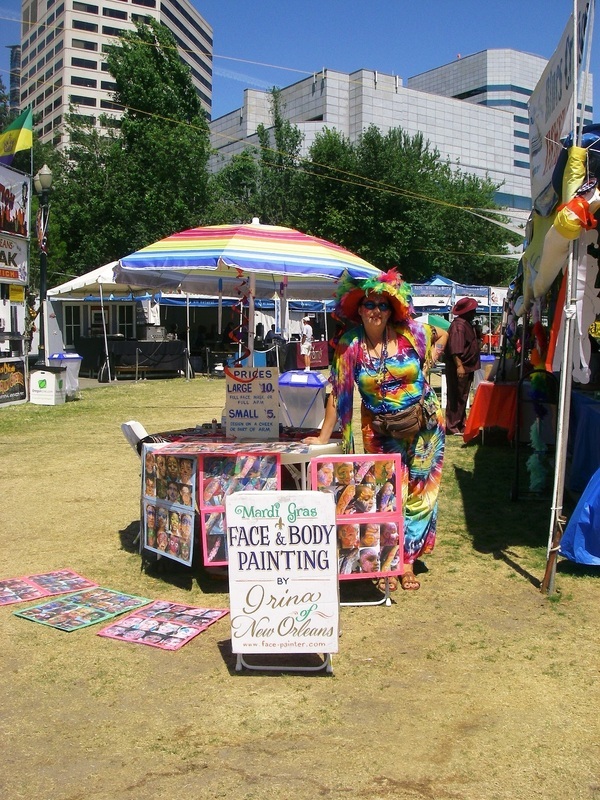 My name is Irina, I am a Russian-born artist/face-and-body-painter, living in French Quarter and working at New Orleans festivals, parades and parties October-June, and traveling around USA, Canada and Europe for festivals during hurricane season - bringing Mardi Gras spirit to the World! 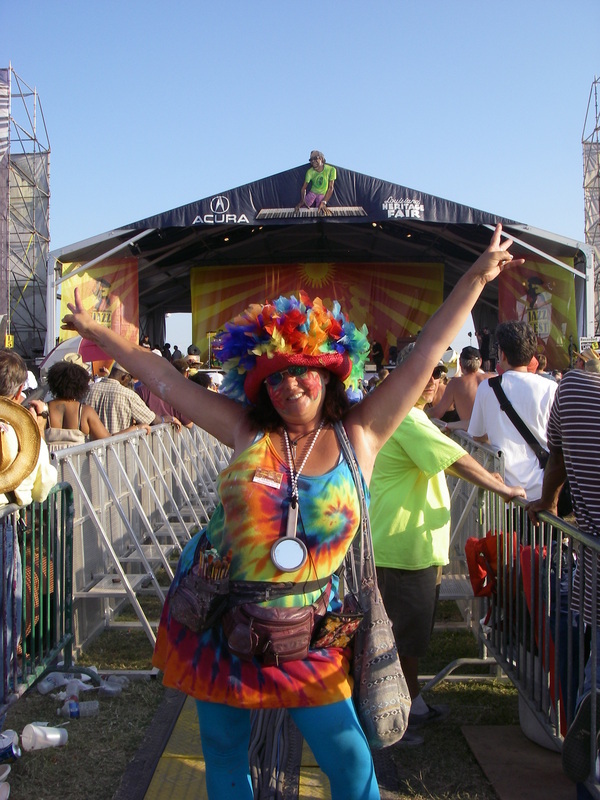 PEACE , LOVE & HAPPINESS, YALL ! 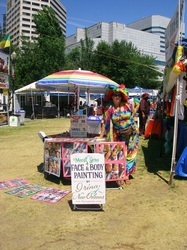 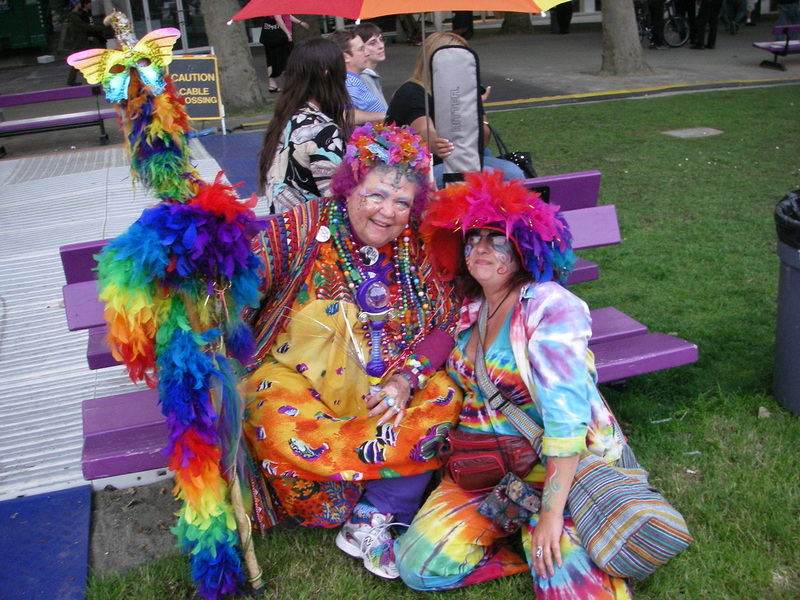 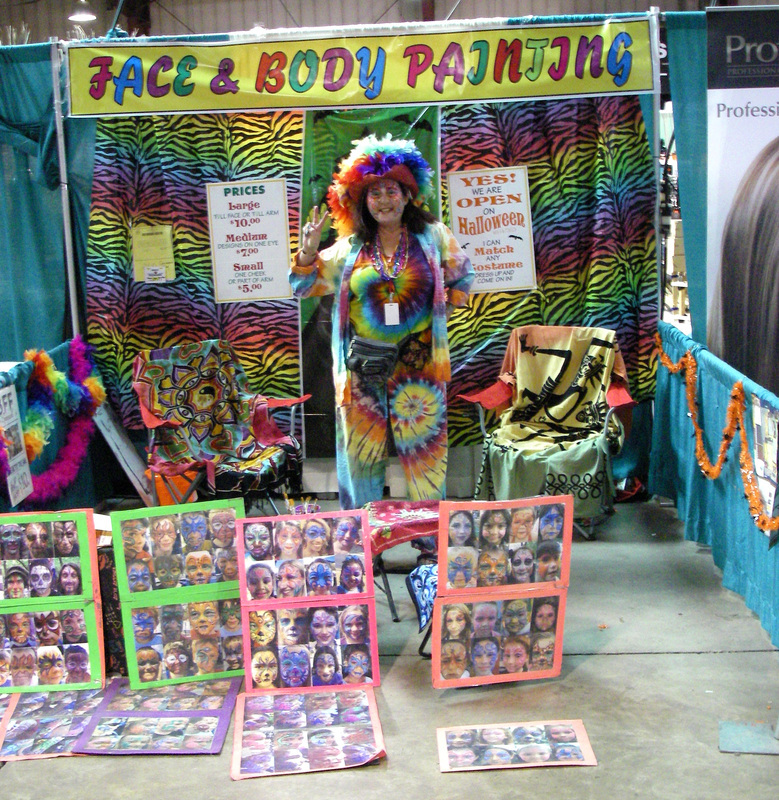 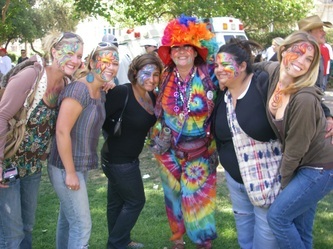 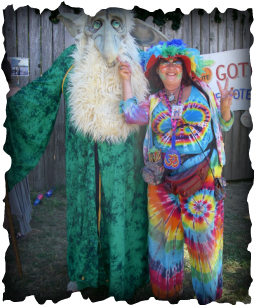 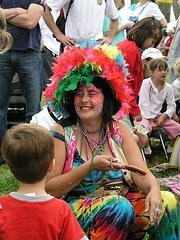 There is a picture of Irina with The Rainbow Lady (DD the Rainbow, Seattle, FolkLife 2008) in the 2d row. And yall know Dancing Man 504 for sure.